As I look back, I think 2013 has been really amazing. The year has brought me great opportunities and unforgettable experience in my hobby life. While I may have short comings, I always look on the brighter side of things and keep positive. It started in January 2013. I haven’t been active in Deviantart, I logged in there to just keep my account updated and share few photos to toy photography groups. When I logged in, I was surprised to a get thousand notifications and realized that my Azunyan’s Birthday photo received the Daily Deviation award. 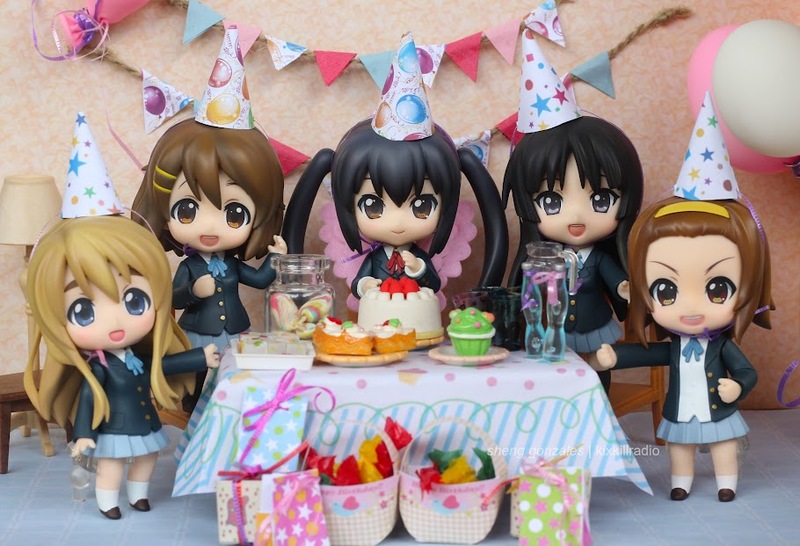 I made this set for Azunyan’s Birthday on November 2012. I made those tiny birthday decorations, from hat to birthday presents. Azunyan is actually my fave among other K-On girls, and K-On is one of my fave anime too. Later after that, Super Sonico in the Recording Studio stole the spotlight. This set of Super Sonico has received great feedback in MFC and Facebook fans. It was one night I feel like I want to take photos of her, inspired by the bands I watched in Youtube, so I recycled the background I used in the past and shoot. This is one of my personal fave set I’ve made in 2013. Late March 2013, Tokyo Otaku Mode’s interview with me was published on their website. 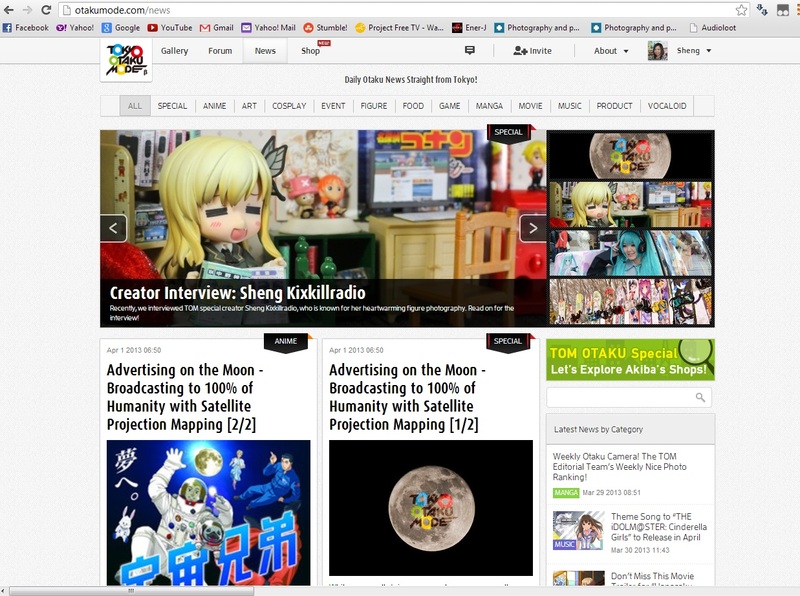 Being part of Tokyo Otaku Mode as Special Creator has introduced me to wider audience -worldwide. Tokyo Otaku Mode is otaku/anime related platform based in Japan with other popular Special Creators like Redjuice, JohnHathway and Kishida Mel. They share my work to their 14 million fans on Facebook, thousand followers on Twitter and Google+. I am really grateful with TOM that I’ve brought smile to many people’s faces through them. 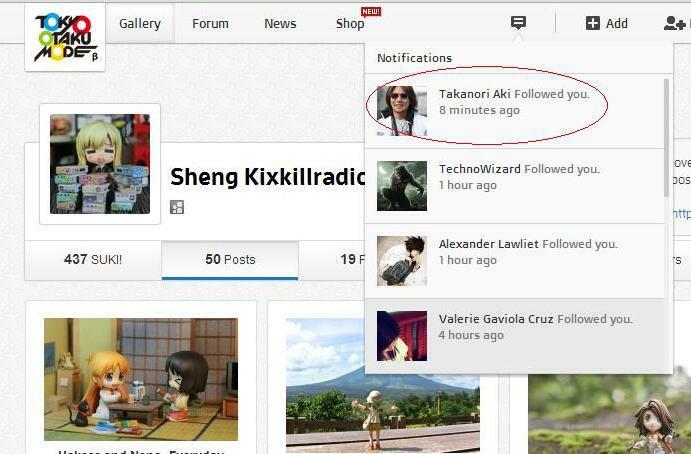 and then sometime last March, I received a notification in TOM. In April, Kotobukiya started sending their Cu-Poche samples to me for figure photography. Which I happily accepted the offer for I am a fan of their figure line. I currently have 6 Cu-Poche! 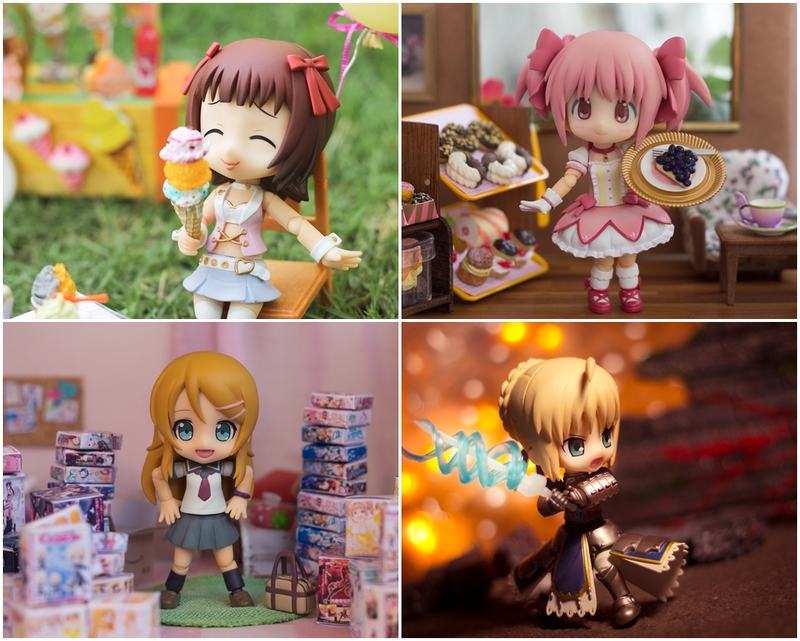 Cu-Poche is the newest chibi figure line with articulations and very cute. Looking back at that moment, months after that interview, it was Kotobukiya who contacted me. The time when Kotobukiya noticed my work is one of the best things. 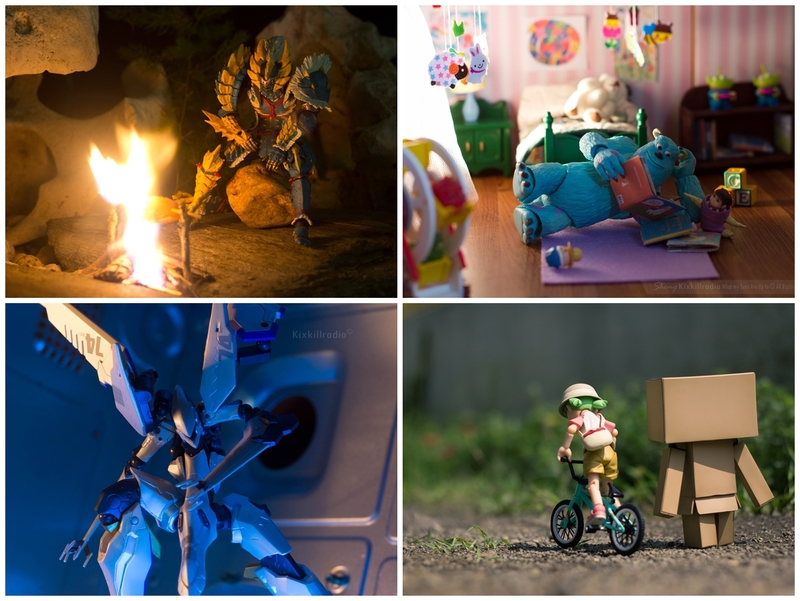 When I started figure photography in 2011, I didn’t expect that a Japan toy company would be interested. It’s really an amazing experience and one of the best highlights in my hobby life. My Cu-Poche figure photos were published on their Facebook page. 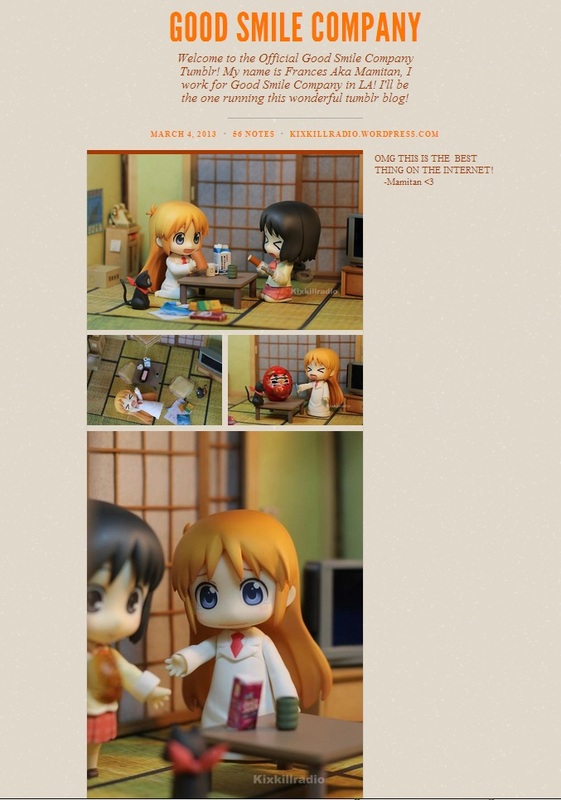 The most well-received Cu-Poche photo set is Kirino Kousaka. I recreated her room in the anime and made dozens of figure boxes for this shoot. This is 2nd most visited post in my blog. 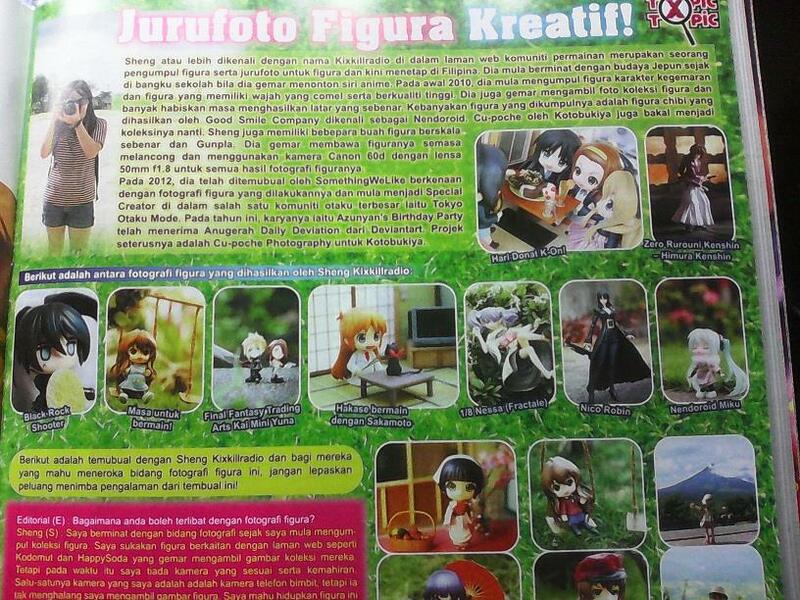 In June 2013, I got invited to be part of Figure Photo Studio. It is a group of figure photographers with members JF, Vixion, Allgroassi, and Nikicorny from Indonesia. These guys are active in anime conventions such as Anime Festival Asia-Indonesia and Singapore. 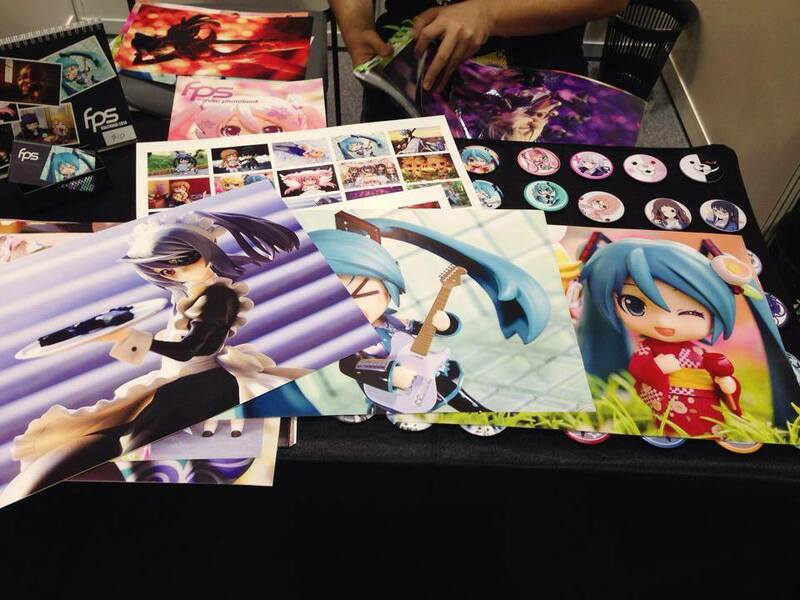 Figure Photo Studio sells very cool figure photos (posters, calendar, Miku Photobook and badges) by talented members. So if you happen to live in Indonesia and Singapore, you can grab these goodies for sure. 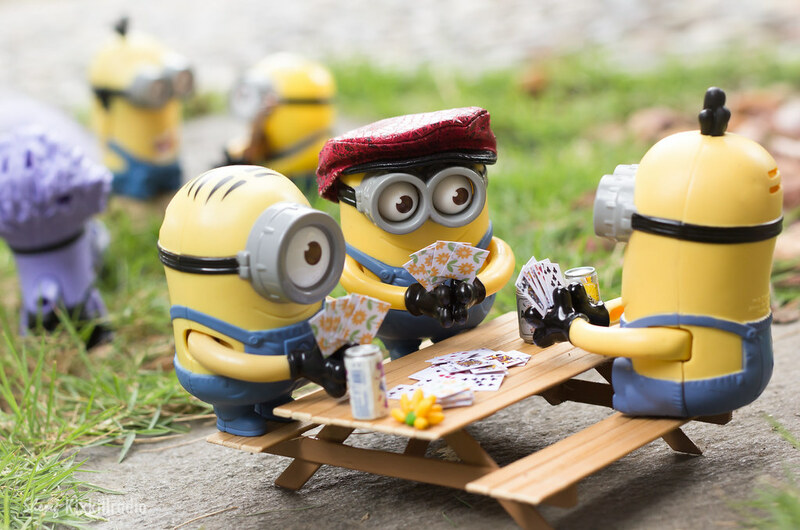 Because of the movie Despicable Me 2 popularity, Minion fever kicked in sometime in July. Minion toys were so popular that I also joined the trend. August 2013, Revoltech Philippines also contacted me to do toy photography of their Yamaguchi figure lines. I think it’s great to know the right person in this community. I was actually recommended and introduced by my toy collector friend (Hubbyte) to Revoltech Philippines. Revoltech figures are really challenging to shoot, aside from the fact that I don’t know the characters. But challenge is fun in toy photography. It was October that I was also invited to be a creator of GoBoiano. Another anime related content and platform and still in Beta. The people are also friendly and accommodating. Once they open, be sure to check them out. I think they are giving away early invites who like to join the group. 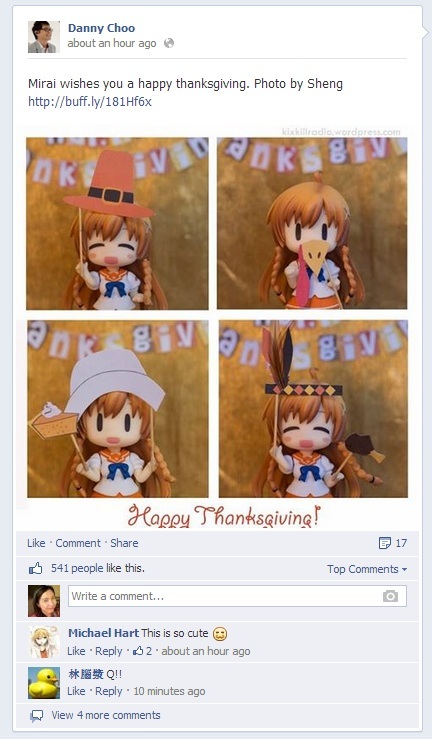 Last Thanksgiving Day, Danny Choo also shared my Mirai Thanksgiving photo to his thousands of fans in Facebook and Twitter. In November and December, I got featured at Tomopop. I’ve been a constant visitor of Tomopop ever since I started collecting and being featured there is an unforgettable experience. 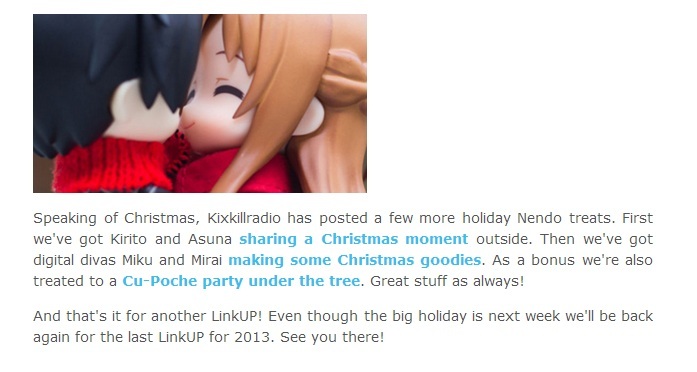 They featured my video of Nendoroid Dressing Up, Thanksgiving and Christmas-themed photos. Yay!! I always enjoy reading figure updates and reviews in Tomopop. I used to join their Monthly Megapixel photo contests and sometimes I still join especially if I really like the prize. It’s fun being challenged with such a theme. I also found out through a fan in Malaysia that I’m in Kreko Magazine Issue #34 of December 2013. 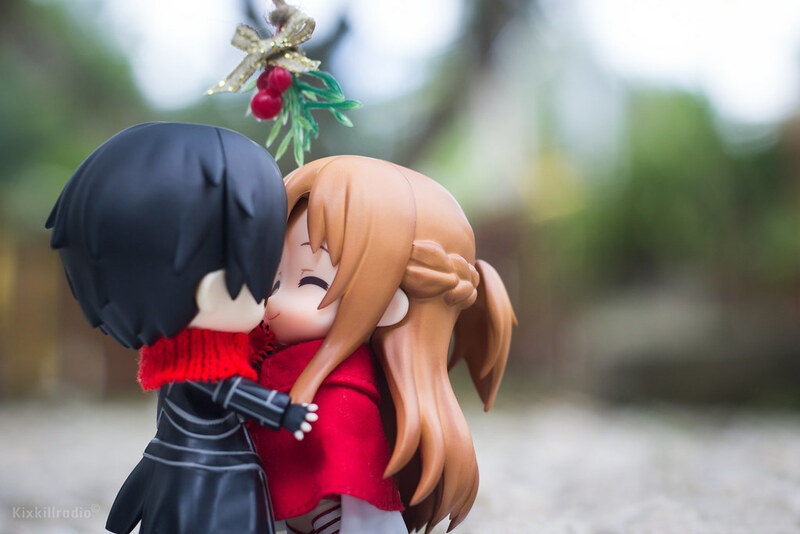 This December, I made Christmas-themed shoots and one of them is Asuna and Kirito which is by far hit the most visited post in my blog, this photo is also featured on Tokyo Otaku Mode, Good Smile Company Facebook, GoBoiano and Sword Art Online page. It has received POTD award on MyFigureCollection.net and was over the internet for the past week. Not really a SAO anime fan, but I am a fan of the couple. I like their pairing and it’s really nice to make romantic shoots using these two. May this new year 2014 brings another amazing experience and opportunities. There is always room for improvement to self and skills. I will gladly open myself to new adventures. My next post will be on New Year’s Day. See ya! Thank you, Scher. Best wishes for a great new year to us! congratulations, I also like your stuff and that you put your heart into it. All your elaborate setups and the cute pictures speak for themself. Wishing a wonderful year to all of us! Cheers! Hahaha I can understand that feeling. I can feel that my wallet dry in 2014. Lol. Have a great new year! Wow, looks like you had an awesome year in 2013! Hope 2014 is even better, keep up the great work!! AAAAHHHHH you’re my heroooooooooo! Love your pics ever since I chanced upon them and really happy that you made such an awesome splash in the community! Wish you all the best and to a bigger, epic 2014! As we Chinese love to say..HUAT AH! Hellloooooo!!! It’s been so long, I missed your blogging and nendoroid reviews! How are you? You’ve been one of my early followers here in WordPress and I will never forget you. Thank you very much and since you found me on Facebook, hope to chat with you there sometime. Happy New Year! Whoa, that’s one succesful year. Amazing, that when the ball starts rolling it doesnt stop. Here’s hoping for that collaboratiion with Goodsmile Company! I can’t believe I missed reading a couple of comments including yours. Cheers to a great new year to us darkandchoco!